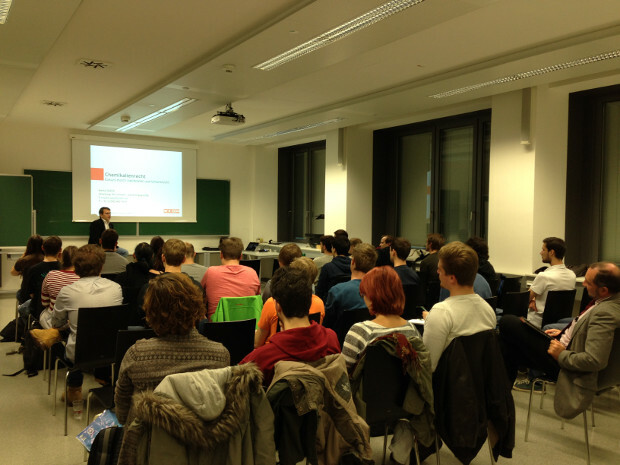 The Jungchemiker Vienna have started their program in the winter semester 2016/17 with a Chemistry_a_side lecture. 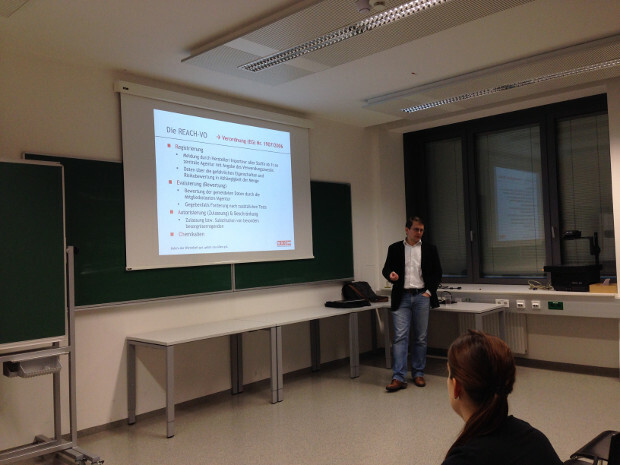 On Monday 17 October, Dr. Marko Susnik from the Austrian Economic Chamber was invited to the Vienna University of Technology to give a lecture on the topic of "chemicals law". The goal was, of course, to give the audience an overview, as the entire content would provided enough material for several lectures. The topic is very interesting, because almost every chemist hast to deal with it in one or the other way, but it is hardly anchored in the degree programs. The focus was on the EU-wide chemicals legislation REACh (Registration, Evaluation, Authorization of Chemicals), but the more local provisions in Austria itself were also mentioned in the end. The presentation came very well with the audience of nearly 50 people, the open discussion after the lecture lasted for half an hour. The topic was further discussed in the final round of beer.